Darrell Ward from "Ice Road Truckers:" What Happened to Darrell Ward? How Did He Die? Darrell Ward from “Ice Road Truckers:” What Happened to Darrell Ward? How Did He Die? Ice trucking is a dangerous business but it has made for some interesting television, care of the History Channel’s Ice Road Truckers. The show has even inspired spin-offs and copycats. When news that Darrell Ward from Ice Road Truckers passed away, people were simply shocked. When what happened to Darrell Ward was discovered, many viewers had questions about his death. We’ve got all the details, right here. 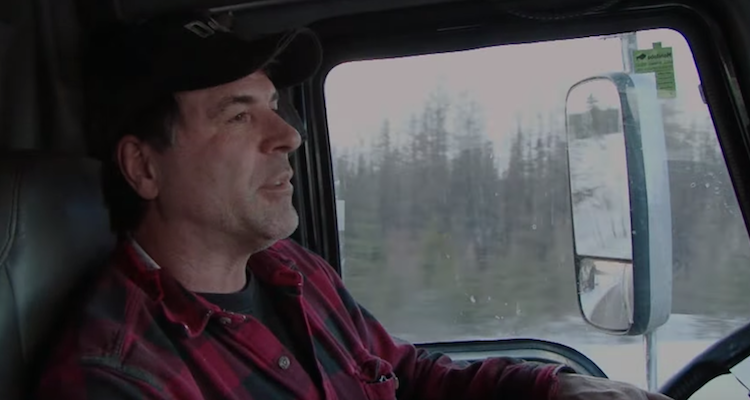 Ice Road Truckers’ Darrell Ward wasn’t an original member of the cast, but he did have over 30 years of field experience when he joined the show in season 6. Audiences loved the fact that Ward didn’t seem to show fear in adverse weather or on those incredibly scary roads. His Facebook page carried on it his motto of “Any road, any load,” which described his methods to a tee. Ward also had a big heart and would often help his fellow drivers when they needed it. More than anything else, it seemed like he loved his job. How did Ice Road Truckers’ Darrell Ward die? When word came that he tragically passed, most assumed it was at the wheel of a big rig in the midst of a long haul and calamity took hold. But then, when it was revealed that Ward died in a plane crash, people scratched their heads. Darrell Ward’s plane crash occurred as he was at the controls of a single-engine Cessna 182. The plane went down on the shoulder of Interstate 90 near Missoula, Montana. Ward and his co-pilot were returning from The Great American Truck Show, a trucking convention that brought truckers of all breeds to Dallas. In a piece of almost irony, Ward was on his way to film a pilot for another docu-series about recovering crashed aircraft wreckage from difficult areas. He was also scheduled to return to Ice Road Truckers for another season. At the time of his death, Darrell Ward’s net worth was currently unknown, but he left behind two children, his parents, and two grandchildren. The weight of their loss has to be enormous.